Shot an impromptu film with my mobile phone and it has since gathered nearly 30,000 views! National Conversation: A film montage of colourful banners and quirky Singaporeans. On 16 Feb 2013, Singaporeans gathered at Hong Lim Park to protest against overpopulation. 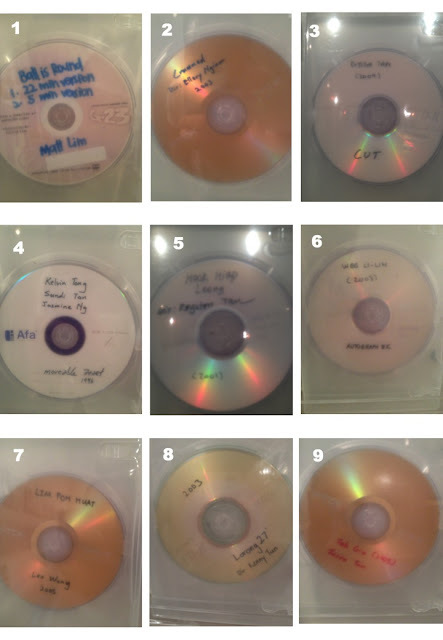 Sindie says: Almost every film submission to that came to the Substation over the last 10 years arrived in humble copy DVDs with handwritten labels. Here are 9 local titles that came in the same humble packaging but shone brighter than the gleam on the silver or bronze finishing of the DVDs. In another 10 years, we may see them in the museum. Read here for an interview about the exhibition ‘Temporary Repositories’. Tak Giu (Kick Ball) can be watched online, or buy the Hosaywood DVD to support us.